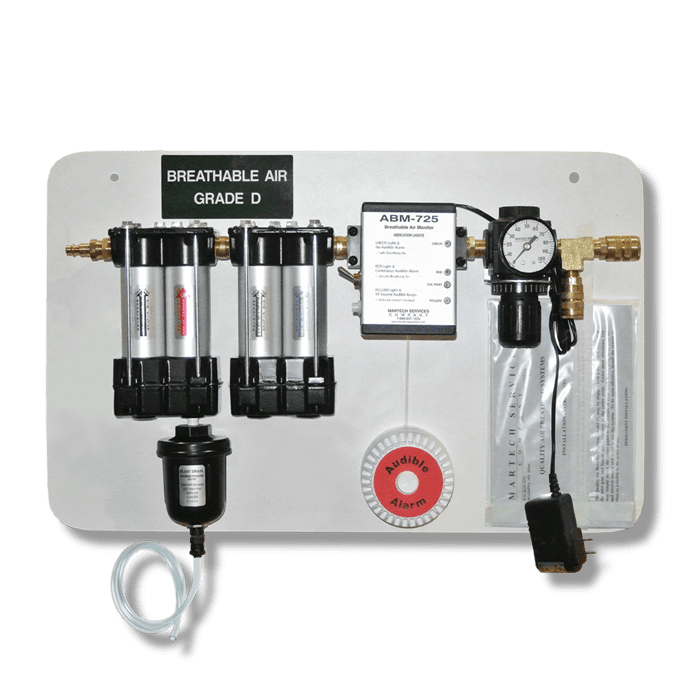 4-Stage Air Purifiers Models 50 to 150 breathing systems outfitted with broad range monitor, four-stage filtration and auto float drain, designed to provide 50 to 150 SCFM of Grade D purified air from existing compressed air supply. These complete panel mounted systems are available in stationary and portable versions. 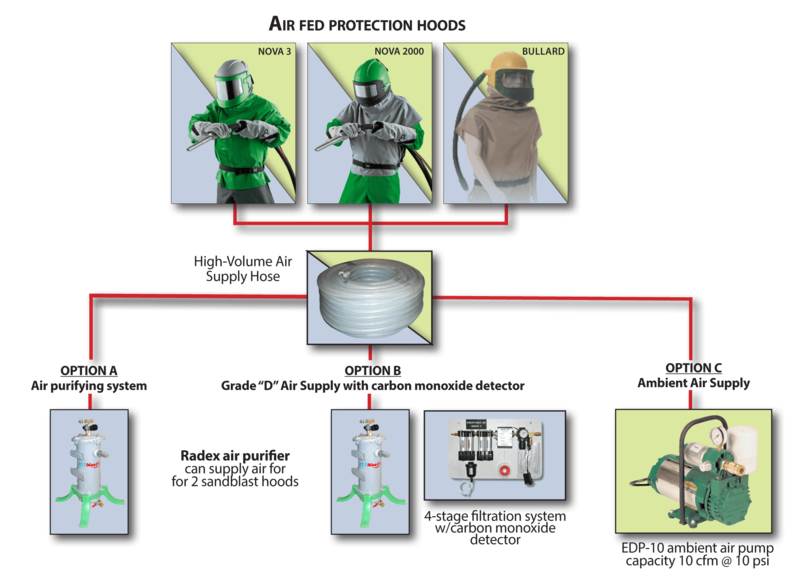 Rapidly ready to use, warm-up purge cycle time of just one minute and equipped with built-in audible horn and warning lights to alert users if hazardous gases exceed preset OSHA limits. Accessories sold separately: hood, mask, etc.